Mehndi designs: Want to find out the latest mehndi designs art? Mehndi art style is a culture followed in our country India for ages. But today, it’s looked upon from fashion point of you to suit your special day across the whole country. 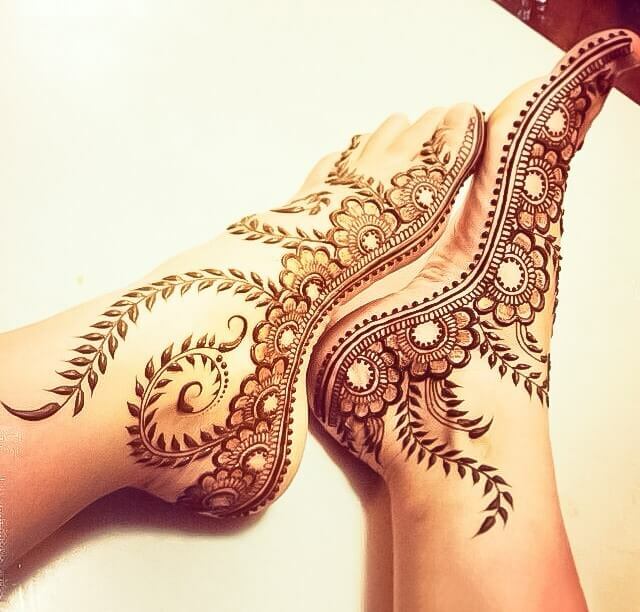 In this post, you will find very useful mehndi design images and therefore the latest Mehndi designs for your upcoming events or festivals like Teej, Diwali, Karwa Chauth, Raksha Bandhan and more. 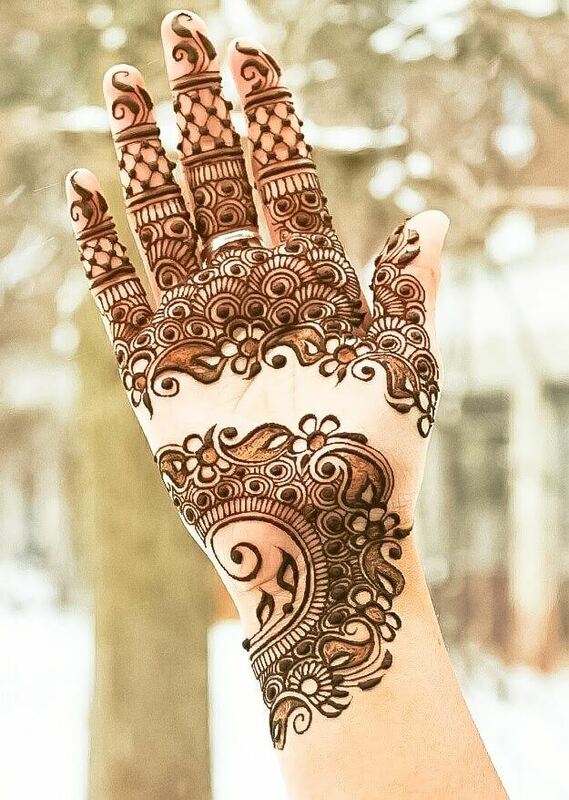 Mehndi (मेहंदी) designs styles also create a style statement obviously, particularly if you see one on any of the celebrity’s hands. Mehndi design is of great varieties of Arabic, semi-Arabic, bridal, non-bridal etc. 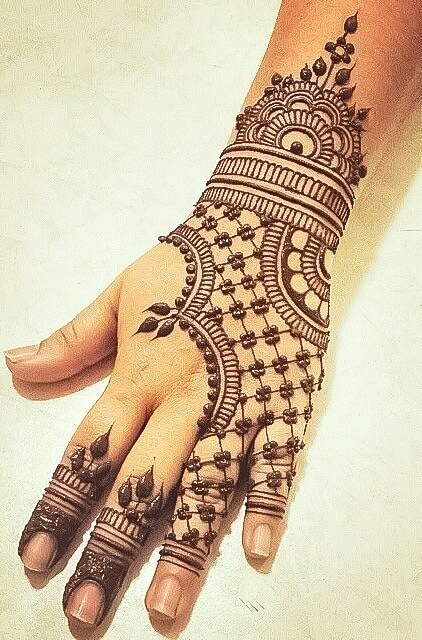 Update: We’ve hosted New List of 20+ Latest Arabic Mehandi Designs (मेहंदी डिजाइन) to Adorn You. There are a variety of Mehndi artists who create marvelous designs ranging from Arabic Mehndi art to the traditional bridal look. Few of those Mehndi styles are listed below. These design options for your loved ones will suit your special day and you will be able to flaunt that new look. These Mehndi art designs are similar to how to make beautiful Rangoli design. These designs too can be drawn on both sides of the hand. This is perfect for occasions like weddings or anniversaries also. Wash hands or legs well with soap before applying henna. Do not use any greasy cream or oil on the area before applying henna. Apply little lemon and sugar mix after the mehndi dries. Do not wash hands to take off the mehndi. Scrap off the mehndi when it dries. Do not wash hands even after taking off the mehndi. Apply mustard oil overnight to achieve a deeper darker color. Do not worry if the back of the hands does not get the same color as the front part, as its normal.